I know everyone says that time goes by fast when you’re having fun, and I can definitely attest to this! It feels like yesterday when I was wondering what this adventure was going to be like. All the scenarios I planned did not prepare me at all. I had a difficult time leaving home and now I have to do it all over again. Maynooth has become a place where I feel at home. I have gotten to the point where I realize that I have to leave Ireland. I know it is going to be so much harder than leaving Canada because I knew that I was going back. As of now, I know that I will be coming back to visit friends, hopefully very soon! 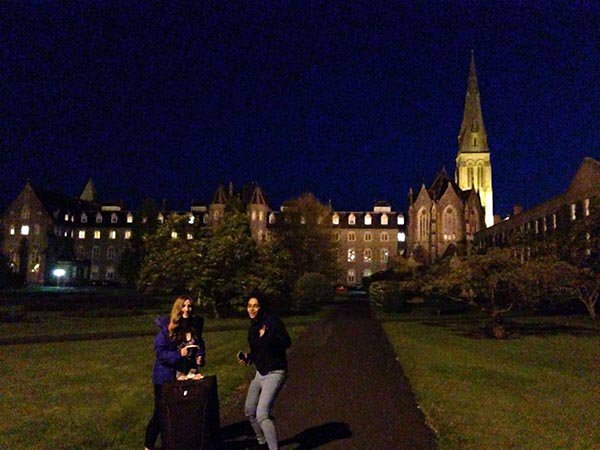 I have become so attached to Maynooth, it has become my home. Before, leaving seemed like it was so far away but now the days are disappearing so fast and I have honestly no idea how to slow them down or add on more days. This month was when everything was due. Essays, exam prep and group projects. Everything got done with late-night cram sessions and last-minute meetings. It was so crazy how everything flew by. Having to complete my essays meant staying indoors when Ireland had some of the most beautiful weather I had seen. This meant having my dorm room window open and enjoying the sun rays over the top of my laptop. It was bittersweet handing in my last essay and finishing my last exam. I was happy to have it done and finished my second year but I was sad that my education at Maynooth was complete. 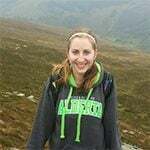 But I have learned so much about Ireland, not just about the course content but about the education system. It’s very interesting to see how different the education system is and be able to compare how they differ from home and how it can impact my approach to teaching and bring in everything I have learned from it. 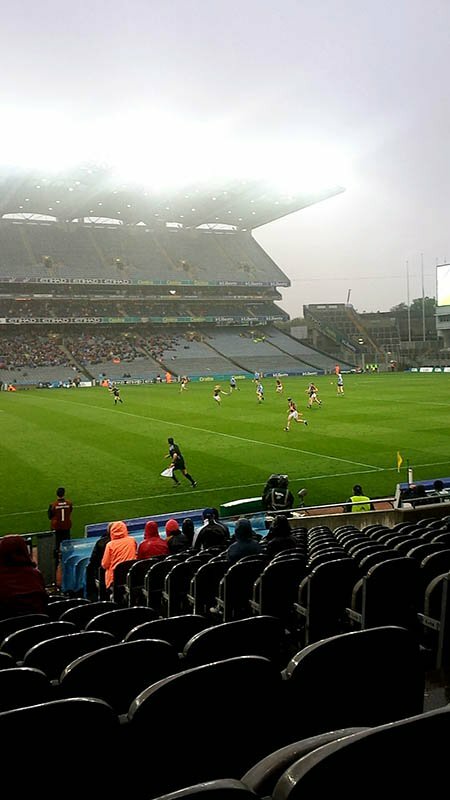 After my exams, I was able to go to a GAA Football and Hurling game. It was fun to be able to watch a game that I was not familiar with. First was the Football game and that was fairly different and confusing but very interesting. After the Football game there was a short intermission then the Hurling game started. This was a little more confusing to start with but I got most of the rules (even if some of the penalties confused me). It was such an interesting sport to watch and I wish I had discovered it earlier as I absolutely loved it! We had a blast despite it rained for most of the night. It was also my first time at Croke Park Stadium and I would recommend that if you get the chance to go, definitely do it! 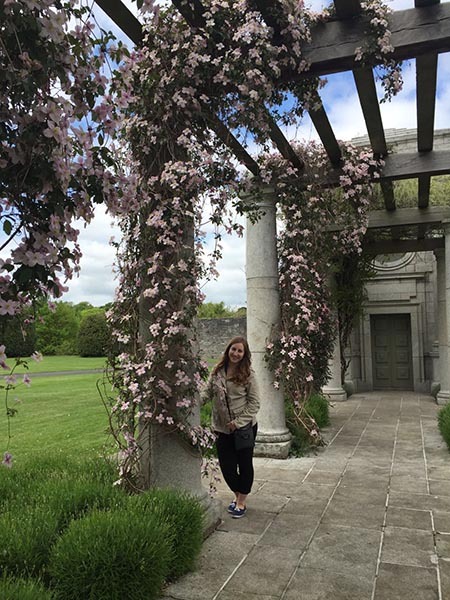 I was also able to do some travelling around Ireland where I went back to my favourite places, Donegal and Galway and got to explore new places such as Derry/Londonderry. At last, I was able to see these places in the spring when all the trees had bloomed and discovered new things in each place. It was sad leaving Donegal as it is my favourite place in the world. I never thought I would get attached to a place where I had never lived before but everyone there was super friendly and the drive up there reminded me a lot of home. Something I will definitely miss is the landscape. The bus rides are not that long but they always have the best views. Going through all the little towns and seeing all the fields of cows and sheep are my favourite! 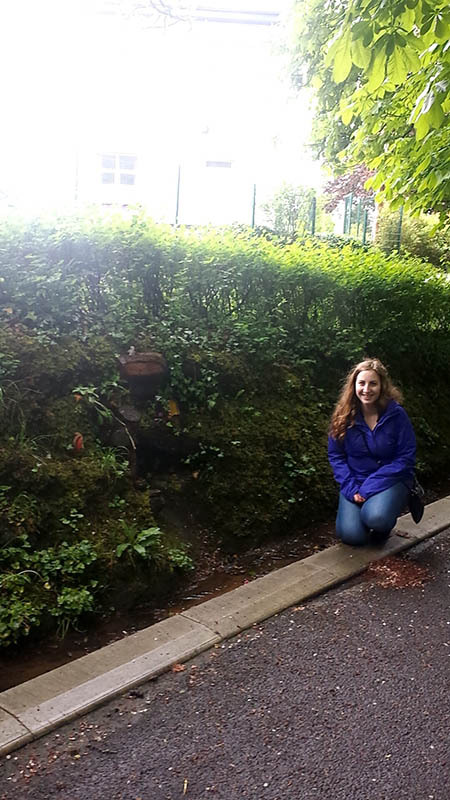 I love Ireland and I know that I am going to miss it so much! I hate that I have to leave and already am planning to come back! This has been one of the best years of my life and I have learned so much more than what I had expected going into my study abroad year. I know that I became way more independent and learned a lot about who I am and where I want my life to take me. I am so grateful for this amazing opportunity that I was given and all the wonderful people I had the chance to meet. Go raibh maith agat Éire. Next articleTime to Go Hiking!